PLANO, TEXAS. 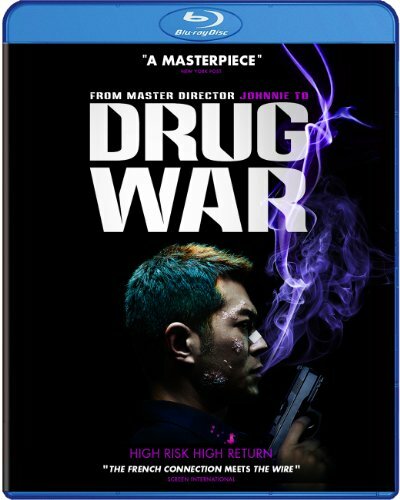 (August 14, 2013) - From Johnnie To (Life Without Principle, Election), master of the Hong Kong crime thriller, comes the critically-acclaimed, action-packed drama Drug War , debuting on Digital, Blu-ray(TM) and DVD October 15th from Well Go USA Entertainment. Cars are crashed, bullets fly, blood spurts, bodies splatter and cocaine is snorted in this high-velocity tale of a drug cartel boss who, after being arrested in a raid, is coerced into betraying his former accomplices as part of an undercover operation. The film stars Louis Koo (Triple Tap, Accident), Sun Honglei (A Woman, a Gun and a Noodle Shop), Michelle Ye (Motorway, Once a Gangster), Huang Yi (Legendary, Romancing in Thin Air), Wallace Chung (Forever Young), and Li Guangjie (Motorway, Romancing in Thin Air). Manufacturing just 50 grams of meth in China will earn you a death sentence. Timmy Choi (Louis Koo) just got caught making tons. Now he's in the custody of Captain Zhang (Sun Honglei), and has one chance to avoid execution - turn informant and help the cops bring down the powerful cartel he's been cooking for. Over the next 72 sleepless hours, the sting spins out of control, the line between duty and recklessness is blurred, and it becomes unclear who actually has the upper hand. Drug War has a runtime of approximately 107 minutes and is not rated.